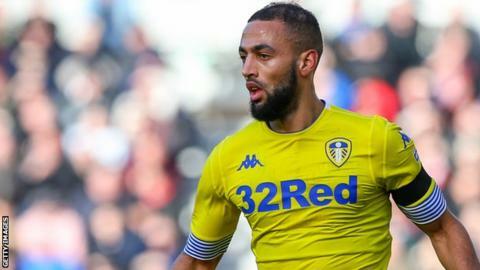 Leeds United forward Kemar Roofe faces a spell on the sidelines after damaging knee ligaments. The 26-year-old sustained the injury in the 2-1 win over Swansea City at Elland Road on Wednesday, 13 February. Former Oxford United man Roofe has scored 14 goals in 26 league appearances this season, helping Leeds to third in the Championship table. A club statement said Roofe will "work hard with the medical team to return to action as quickly as possible."